Price Improvement AND...Attractive Seller Financing Offered on Panoramic Mountain View 4.4 acre lot in Blue Ridge Mountain Club. 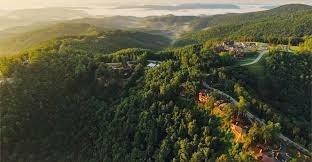 Outdoor lovers' dream location conveniently close to Watson Gap Pavilion, Ascent Wellness and Fitness Center, Event Terrace, Jasper Clubhouse, Lookout Grill. Chetola Sporting Reserve nearby. 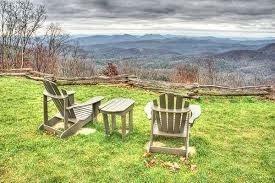 Live in park-like setting near Blowing Rock and Blue Ridge Parkway with 50 mile mountain views. Superior infrastructure (guard house entrance at gate, beautiful paved streets, underground utilities including water, central sewer, electric and fiber optic data lines for HDTV/phone/broadband internet). Pavilion features outdoor kitchen w/rock fireplace, lawn/sports field. Over 50 miles of multi-purpose trails - ATV, hiking, horseback riding and miles of primitive trails along the mountains and streams. 64 miles of streams and creeks for anglers. 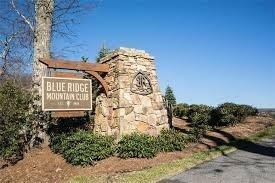 In Blue Ridge Mountain Club's 6200 acres you can build a lifetime of family adventures amidst amazing beauty of the wilderness.